For many patients who perceive themselves as having a small or “weak” chin, this is an area of concern that may negatively affect their confidence and result in low self-esteem. Enhancing your natural bone structure with a chin implant creates a stronger jawline and improves your facial profile. This chin augmentation procedure, also also known as a chin lift, is often combined with other facial procedures, such as nose surgery (rhinoplasty) or facelift surgery, to bring balance and proportion to the face. 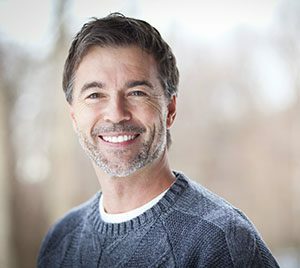 The chin lift procedure typically involves a discreet incision made either beneath the chin or inside the mouth for a scar that is virtually imperceptible. A silicone elastomer implant is then placed along the chin and positioned for the best possible aesthetic result. Generally an outpatient procedure, a chin implant is most commonly performed under general anesthesia, or local anesthesia with sedation. An overnight stay may be required when combined with other procedures. Recovery depends on the extent of your surgery and any accompanying procedures. You may engage in light activity the day after your surgery and a return to more normal activity may take one to two weeks. Your appearance will gradually refine over the following six to eight weeks.